Butterflies | Flickr - Photo Sharing! 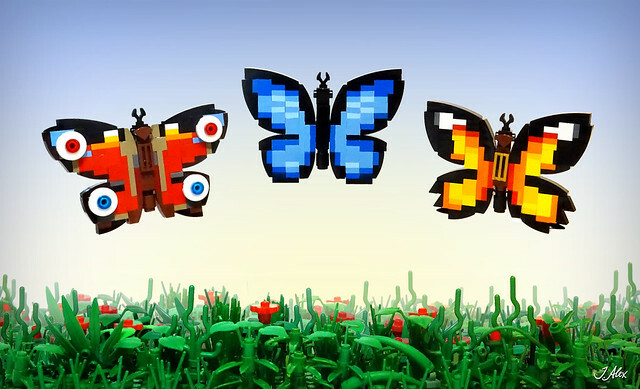 LEGO models of three butterflies (that exists in reality). They are called Peacock Butterfly, Menelaus Blue Morpho and Cethosia Cyane. These models are also uploaded as a project on LEGO Ideas, so please give it your support if you like it! FeelOkayInc, FunBrix, and 99 other people added this photo to their favorites. Beautiful butterflies, I especially like the on on the left! Going to support it! By the way, I highly recommend you to add this to some groups, these deserve more faves... Anyway, keep it up!